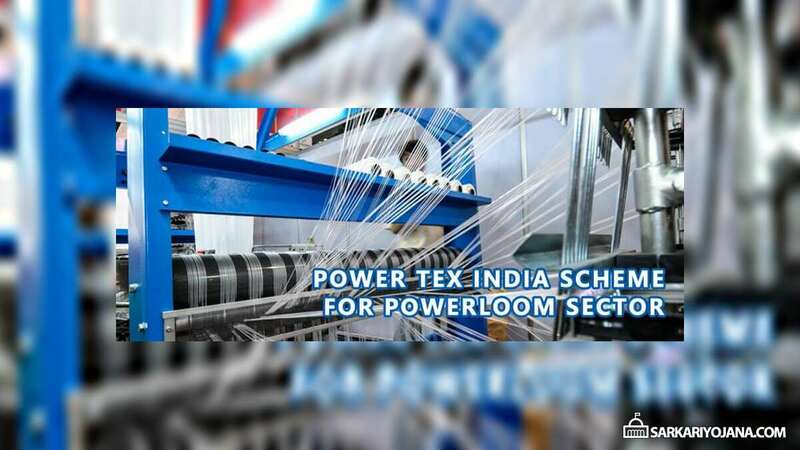 Power Tex India is a new scheme launched by the Narendra Modi Government in 2017 for the Powerloom sector. The scheme is an effective move to push the powerloom sector across the country and to spread it globally. The ministry of textile launched Power Tex India Scheme in Bhiwandi in Maharashtra and Erode in Tamil Nadu and also in all powerloom centers across the country. Below are main components of the Power Tex India scheme under which the powerloom sector would be benefited. Grant-in-Aid and modernization and Upgradation of powerloom service centers (PSCs). In-situ up-gradation of plain powerlooms – The objective of this component is to benefit the economically weaker low-end powerloom units by providing them financial assistance for upgrading their plain looms into semi-automatic/shuttle less looms. It will also help them to improve the fabric quality as well as productivity. The component will benefit all powerloom units having up to 8 looms. Yarn Bank Scheme – Small weavers will be provided an interest-free corpus fund to special purpose vehicle (SPV)/consortium which will further help them in purchasing yarn at the wholesale rate and selling further to small weavers at the reasonable price. The main purpose of this component is to cut-off middle man/local supplier’s brokerage charge on sales of yarn. Pradhan Mantri Credit Scheme – A facility of loan will be provided under Pradhan Mantri Mudra Yojana (PMMY) to powerloom units/weavers which are decentralized. The two components would help them achieve the highest production level and quality. The scheme would provide 50% to 90% subsidy on the plantation of solar off-grid power plants. Through this component, the government is emphasizing on the use of solar energy in powerloom units. Power Tex India Scheme will definitely benefit the powerloom sector to face the competition level in the global market and also enable the powerloom sector to be self-reliant. I want a setuate rice mill in up thus projekt cost aproxmet 6 crore. In thus rice mill manufactering export quility selha and half steem rice which is exporte. I want that the rice mill run by soler olant which is sichute in my rice mill.